The Yukon Employees Union says workers have voted on a new deal Tuesday morning with Many Rivers Counselling and Support Services. The Yukon Employees Union says the Many Rivers counselling and support services employees have ratified the collective agreement proposed by the employer. The collective agreement will allow employees improved access to EAP services for themselves, flexibility to respond to client scheduling needs, the ability to meet with specialist clinical supervisors during their working hours, as well as a 7 percent salary increase over the five-year agreement. The tentative agreement was announced just before 8:30 a.m. Tuesday in a short news release from the Yukon Employees Union. A vote to ratify or reject was held, with the vote ending in favour of the agreement. "It was very emotional, a very rough ride and a rollercoaster of emotions," said Geick. He says both sides had been 'at it day and night' since Thursday. 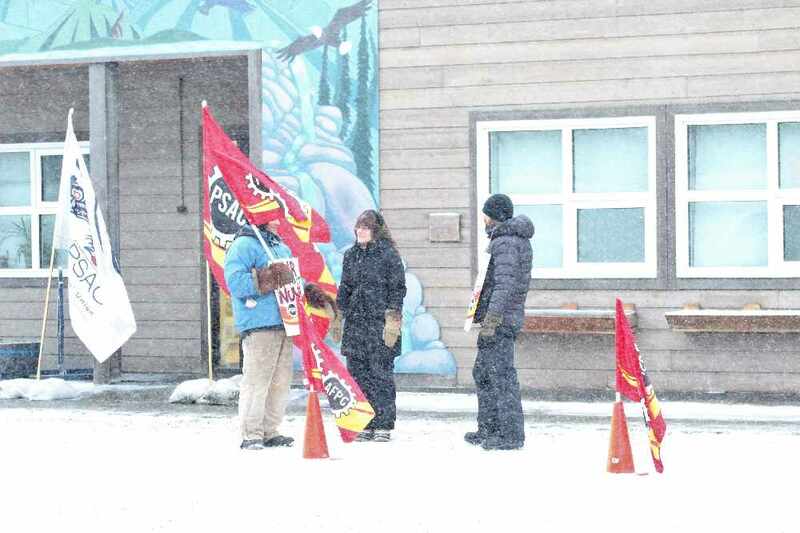 About 18 employees have been walking the picket line in Whitehorse and the communities since November 2nd. The contract allows some time for Many Rivers to transition back to full operation. Yukoners can expect the society’s doors to open fully for business on Thursday, February 7th in the regional offices as well as the Whitehorse branch.